Hope Street is in a battling suburb of Melbourne. The residents are a modern Australian grab bag of backgrounds - a Turkish grandma, a newly arrived African refuge family, a PTSD affected Vietnam Vet, Lebanese, Islanders and the central characters of Sam and Kane who live with their mother and a violent father. There's also a cast of supporting characters covering schoolyard bullying, the impact of social media, racism, young love and exploring sexuality. So for a short book it's jam packed and with seven narrators there's not chance to delve too deeply into anyone or any single issue but as it is aimed to the YA it does a great job in a few pages. 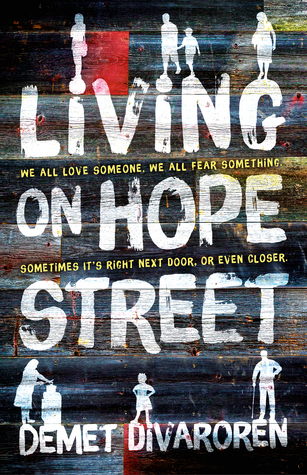 Sign into Goodreads to see if any of your friends have read Living on Hope Street.